Interreligious Dialogue is much more than conversation, debate or discussion. It is an important tool for preventive diplomacy, peacebuilding, and conflict resolution. It has value for policymakers, religious leaders, and civil society. When done right, with expert facilitation, it can heal emotional and psychological trauma. At the same time, interreligious dialogue can be difficult, risky, and sometimes even dangerous, and requires skill and experience to perform correctly. These were only some of the findings of yesterday’s public event at the RadioKulturhaus, a heritage building in Vienna where event partner, Austrian National Radio (Oe1), hosted the evening of dialogue. The event was organized by the International Dialogue Centre (KAICIID), in partnership with the Austria Kultur/ The Austrian Federal Ministry for Europe, Integration and Foreign Affairs, the Holy See, the Kingdom of Saudi Arabia Ministry of Foreign Affairs, and the Spanish Ministry of Foreign Affairs and Cooperation, representing the Centre’s Council of Parties. Diplomats, media, leaders of religious communities, representatives of civil society and members of the interested public in KAICIID’s host city, Vienna, Austria, took part in the exploration of KAICIID’s work that is carried out around the world since its founding 5 years ago. The Secretary General also expressed the Centre’s gratitude to the people of Vienna and Austria, and his hope that the Centre’s work could contribute to Vienna’s well-deserved reputation as the home of dialogue. 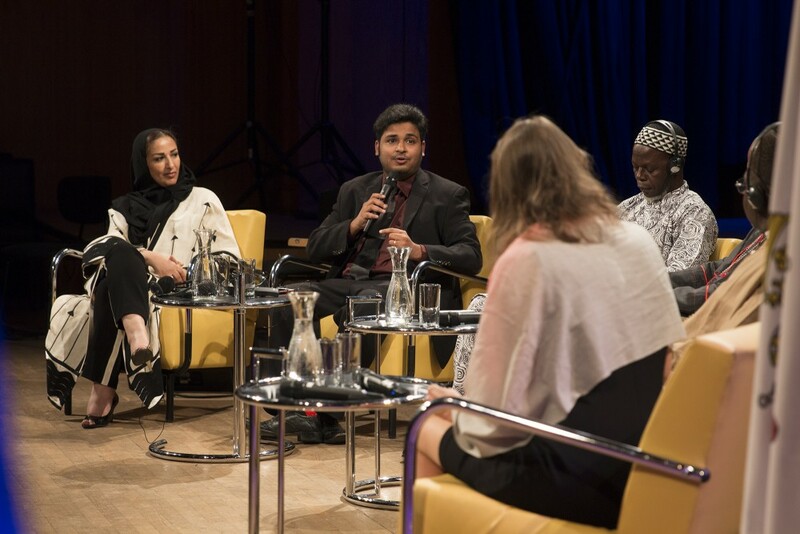 The audience learned from the representatives from Austria, the Holy See, Saudi Arabia, and Spain about the initiatives that led to the founding of KAICIID, an intergovernmental organization with a unique mandate. From Dr. Khalid Al-Jindan, Saudi Arabian Ambassador to Austria, the audience learned of the historic 2007 meeting between the Custodian of the Two Holy Mosques, the late King Abdullah, and Pope Benedict XVIth, and their shared vision of a better future for all people. This meeting led to the founding of KAICIID with the support of Austria and Spain, and the international community. Metropolitan Emmanuel of France said: “Dialogue is a call, and also a communication. And when we use the word dialogue, it also refers to a communication between humanity and the Divine.